Giovanni's World | Politics & Global Warming_Nonsense ~ Fair and Balanced_Sometimes ~ Truth_Always! I’m sorry I had to drop out like I did, but we are dealing with a personal crisis on the home-front and I have not had the time nor energy to deal with the blog. I will be back, I just don’t know when. Don’t let this country go to hell while I’m gone. 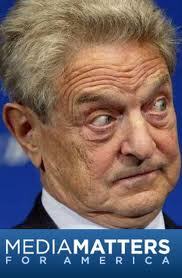 Every clear thinking American knows that the Soros backed Media Matters is nothing but trash. However, when trash becomes dangerous it needs to be buried in a land-fill. Below is a story that has so many things wrong with it that I won’t even need to point them out to you. Knowing that my readers are a smart bunch, I will let all of you pick out your favorite lie and hateful rhetoric, but I do want to put a small bug in your ear. As you read this piece, don’t you get the distinct impression that they are wanting their readers to hate, and possibly hurt, anyone that calls themselves a Tea-Partier or anyone that is against Illegal Immigration? All of America continues to mourn the unbelievably tragic loss of Christina Green, the 9-year-old granddaughter of former Phillies’ manager Dallas Green who was killed, along with five adults, by a murderous madman trying to assassinate Rep. Gabrielle Giffords in Tucson. The sight of Christina’s parents and brother in the gallery at the State of the Union address last night is more proof that the killing of such an innocent continues to resonate with the American people. You’ve heard all about Christina Green, but do you know about Brisenia Flores? Like Christina, Brisenia was 9 years old, and she also lived in Pima County, Arizona, not far from Tucson. Like Christina, she was gunned down in cold blood by killers with strange ideas about society and politics. But there are also important differences. While the seriously warped mind of Christina’s Tucson murderer, Jared Lee Loughner, is a muddled mess, the motives of one of Brisenia’s alleged killers– a woman named Shawna Forde — are pretty clear: She saw herself as the leader of an armed movement against undocumented immigrants, an idea that was energized by her exposure to the then-brand-new Tea Party Movement. But unlike the horrific spree that took Christina’s life, the political murder of Brisenia and her dad (while Brisenia’s mom survived only by pretending to be dead) has only received very sporadic coverage in the national media. That’s a shame, because it’s an important story that illustrates the potential for senseless violence when hateful rhetoric on the right — in this case about undocumented immigrants — falls on the ears of the unhinged. But they did — in the face at point-blank range, prosecutors allege, as Brisenia’s father sat dead on the couch and her mother lay on the floor, pretending that she too had been killed in the gunfire. Why did Forde, said to be the “mastermind,” and the other alleged killer, Jason Bush, carry out this heinous crime? Prosecutors allege that Forde cooked up a scheme to rob and murder drug dealers, all to raise money for the fledgling, anti-immigrant border patrolling group called Minutemen American Defense, or MAD. I wrote about Forde and her warped “politics” in my recent book, The Backlash. I noted that in April 2009 — as first reported by Stephen Lemons of the Phoenix New Times, an authority on nativist, right-wing groups in Arizona — Forde was amped up after attending her first Tea Party on the steps of the state capitol in Phoenix. It was this same month that Forde and her ragtag Minutemen band allegedly approached drug dealers in southern Arizona with a scheme to kill and rob their rivals for cash. One of Forde’s goals, allegedly, was to buy a 40-acre property near the border that she intended for her group to use as a base for raids — which she called “Delta One Operations” — on undocumented Mexicans crossing the border. According to testimony, Bush shot Flores, then Gonzalez. Gonzalez was hit in the shoulder and leg and slumped to the floor. She testified that she played dead as she heard Bush pump more bullets into her husband as Brisenia woke up. Gonzalez said she heard Bush slowly reload his gun and that he then ignored Brisenia’s pleas and fired. In the wake of the Tucson shootings earlier this month, there was a lot of talk about hateful rhetoric and violent imagery in American politics, and there was a lot of pushback when it emerged that the gunman in that case, Loughner, didn’t follow mainstream politics, just some extreme crackpot theories on the Internet. But what happened to Brisenia Flores is different. She lost her life because a couple of unhinged crackpots absorbed all that “lock and load” blather in our atmosphere and actually did something about it. We should not be shocked. But we do need to figure out how to make sure that never again will the life of innocent girl end because of this political madness. And just as we will never forget Christina Green, America needs to always remember Brisenia Flores. I’m starting to see a shift in attitudes about illegals taking American jobs so employers had better smarten up, fast! A group of House Republicans announced plans Tuesday to put forward a package of at least 16 bills aimed at illegal immigrants, including bills that would revoke the driving licenses of deportees, block illegal immigrants from attending public colleges and universities, and require the state to begin tracking the number of undocumented children in public schools. Lingamfelter said state action was needed because the federal government has “completely failed” to protect its borders. The package unveiled Tuesday includes similar bills – HB2332 and HB1430 — that would require authorities to ascertain the immigration status of anyone “taken into custody” to make sure that the check would apply to those who were arrested by police but released on bail or bond before being taken to jail. Del. C. Todd Gilbert (R-Shenandoah) would require parents who enroll children in public school to disclose their immigration status and require the state to tally the numbers. Del. Christopher Peace (R-Hanover) would prohibit illegal aliens from enrolling in public higher education institutions. Other bills would force all public contractors, employers with more than 15 employees and all local governments to enroll in the E-Verify Program to ascertain the status of newly hired employees. Del. David B. Albo (R-Fairfax) said that although the group was motivated by a recent, controversial law in Arizona that gave police sweeping new powers to inquire of people’s immigration status, the final package represented a more moderate approach that should pass constitutional muster. But even Republicans acknowledge that few, if any, have a chance in the Democratically controlled Senate. “It’s mostly filling in loopholes,” Albo said. Virginia already denies driver’s licenses to illegal immigrants and all taxpayer-paid services except those mandated by law, such as public education or emergency medical care. The Republicans backing the immigration bills rejected criticism that their proposals could fan racial tensions or sacrifice the GOP’s future prospects for immediate political gain. Latinos, for example, as the nation’s largest minority, add almost half a million voters to the rolls every year, as Surovell pointed out during a speech on the floor of the House during Tuesday’s session. Lingamfelter also dismissed analyses that suggest that the GOP could be sacrificing long-term viability for short-term success. “I’m proud to be part of a party that believes in the rule of law,” he said. More insights to our illegals problem. Sounding presidential for the first time since his election, Barack Obama recently delivered a moving plea for moderation and civility in public discourse. Unfortunately, his choir didn’t heed the sermon. Obama had barely finished his outstanding oration when we heard the same tired melodies being rehearsed on both sides of the choir loft. Despite a universal acknowledgement of the president’s eloquence in the wake of the Tucson massacre, we heard this from the left: Palin bad, Limbaugh bad, Tea Party bad, their fault, their fault, their fault! And the cry from the right seemed to be: They started it, teacher. They threw spitballs at our guy for eight years and said threatening stuff to us, so why shouldn’t we throw some rocks at them now? This irresponsible argument is over which side’s invective was responsible for the actions of a homicidal lunatic. As if anyone’s invective could have caused a bloody nightmare in a twisted mind that needed no such inspiration. There is one thing that both sides may have rightly pointed a collective finger at in this debate — not because it caused the Safeway slayings but because it is detrimental to our country in any case — and that is the poisoned political atmosphere in the country at large and in the state of Arizona in particular. What few politicians and pundits appear to have focused on, however, is one of the most likely reasons for that hostility. Consider Arizona. The state is suffering from a jobless rate of well over 9 percent while illegal aliens continue to come over the border in an unabated flood. The federal government has been unable to make a dent in the first problem and seems uninterested in seriously attacking the second. Think about the Arizona citizens who lack employment, or about those who are worried about losing the jobs to which they are still able to cling (jobs, that is, not guns) in a persistently bad economy. Think about Arizonans who worry about feeding their children and keeping their homes. And there they are, these American citizens, watching foreigners — illegal aliens — who are so worried about feeding their own children in their own country that they risk their lives to cross the border and compete for scarce wages in the United States. One can sympathize with people who will take great risks to feed their kids. But maybe, in more than a few cases, those American citizens are also seeing armed criminals smuggling narcotics across the border to sell to American kids. Yes, think about Arizonans who see turmoil, gang warfare, beheadings and mass murder across that nearby ill-guarded border and fear what new terrors may be exported by some illegals to the USA. What response do they get from Washington? They see an attack on their state for trying to end the problem that Washington itself does not solve. They see their president and their Congress invite the Mexican president to Washington to attack their state for treating undocumented aliens the way Mexico treats undocumented aliens on its own soil. Is it not understandable that some people are angry in Arizona, that tempers are frayed and political outrage results in overheating? And is it not also understandable — likely — that a madman might commit multiple murders in Tucson without reference to any such factors outside his own twisted mind? If that is so, then it leaves us with two issues still to be addressed. Unfortunately, they are the same two issues that arise after every such bloody episode in the history of our society. Which is to say: much too often. The first issue: Why are obvious lunatics allowed to walk around loose in the streets until they commit all-too-predictable murders? Why are known nuts free to wreak gory havoc in schools, post offices, public transportation? Think about all the similar episodes of the past. Google them if you can’t remember the names. You will see that after almost every such horrible event, we find ourselves reading the comments of family, friends, associates in the news media — and their comments are always similar: Oh, yes, he was acting strangely. Oh, yes, we were afraid of her. Oh, yes, they were all saying strange and threatening things. The Army rejected the latest shooter for narcotics use and apparently never told law enforcement. His college kicked him out because it feared him, and the educators did nothing to take him out of society for his welfare and our safety. And so a madman shot a congresswoman, killed a federal judge, murdered an innocent child. Could it have been prevented? True, we cannot have a society in which any amateur plays psychiatrist and has the power to curtail an individual’s freedom on the basis of inexpert opinion. And then the second question: Why is a madman allowed to purchase and use a weapon that has only one logical use: rapid-fire mass murder? The legendary gun lobby argues that if guns are banned, good people will not be able to buy weapons for their own protection, and only bad people will have the guns. It may be so. If you believe that it is so, then answer this: When Jared Loughner aimed at Gabrielle Giffords and all the others, when he pulled the trigger at a Tucson supermarket spraying hot lead all around, where the hell were all those good people with guns? Who drew a weapon and fired back at him to stop the bloodbath? Check the news reports. We see no signs of those good people, no signs of those good guns at all. There wasn’t even a cop in the crowd. The killing stopped only when the shooter stopped to reload and was tackled by a few brave people. All of them unarmed. This particular article almost points out a problem that many employers have, but like many in the Mainstream Media, they never go the whole ten yards. Yes, employers should NOT knowingly hire illegals. However, and I know from experience, when someone brings you all the proper documentation saying that they are legal and you hire them, why should the employer get fined? Illegals can purchase very official looking documents that are exact duplicates of the real deals. So how is the employer suppose to know? They make a big deal in this article about how Obama has been fining more employers than the previous administration, but I have to wonder if its just another attack by the Obama administration on Capitalism in America. The White House has created a new agency to combat illegal immigration that’s long overdue. The Employment Compliance Inspection Center will be an audit office designed to “pore over the I-9 employee files” and make sure that workers are the country legally. In other words, it targets the the thing that attracts illegals to the United States: Jobs, and the business that provide them. Opponents claim that these “silent raids” are not only invasive but brutal to business. Of course, it won’t be brutal if you follow the law. The inspectors will show up, you’ll be compliant and they’ll go away. Of course, if you’re breaking the law and hiring illegals, it will cause problems, and that can be brutal. The solution is simple: Don’t hire illegals. Actually, the administration has been stepping up this process with scant notice. Since Obama took office, fines against employers for illegal hirings have jumped tenfold, going from $700,000 in 2008 to $7 million in 2010. More enforcement against employers hiring illegals is a far smarter and more efficient use of our tax dollars than spending it on placebos like a wall or more border security. Border security is fine, and it’s important, but it doesn’t address the problem of why illegals come to this country. They come here for jobs. Stop providing the jobs and they won’t have any good reason to come here. It’s a simple supply and demand equation. However, simultaneously, the guest worker program has to be revamped and modernized to meet the needs of industries Americans refuse to work in. Sorry, but Americans are not applying for jobs in the hotel and domestic industry, or in agriculture. Ask any farmer in California, Arizona, Texas, Oregon and Washington. Kids don’t want to work the fields, something old timers will tell you they did when they were young, and even in a recession, growers had trouble hiring American citizens to harvest produce. Not only won’t American citizens do it, they don’t know how to do it. Picking crops is not a ham-handed exercise; it requires knowledge and skill. Construction is a different story. Many a laborer will tell you they lost the job to illegal immigrants, immigrants who are skilled at these tasks, but who are here illegally, and as long as there are Americans willling to do that work, hiring them should always take precedence. But builders like hire the cheaper help because it helps make them competitive, as in, we citizens want the lowest bid. Illegals help contractors offer you that, but that’s an area where many skilled American laborers can, would and should work, and American consumers should pay that price than hire an illegal day laborer. American consumers, however, are the largest single employer of day labor in this country, according to studies done by UCLA and the Pew Research Center. One problem for employers, however, is identification. Stories are plentiful of employers who can’t ferret out forged documents. The solution here is to develop and implement an e-verify/national ID card with embedded biometric data but that proposal has met resistance at both the local and federal level. Even in states that require employers to use e-verify, like Arizona, the vast majority of business owners don’t bother. They say it’s flawed. All the more reason why a national identity card should be part of any immigration reform package. Two polls from last year shed some light on this matter. Both McClatchy-Ipsos and the Pew Research Center set out to take the national pulse on Arizona’s controversial new immigration law. In each poll, more than six in 10 Americans supported the law. More fascinating: In each poll, roughly seven in 10 said they wouldn’t mind if police stopped them to ask for proof of citizenship, and two-thirds supported police detaining people who can’t. Even among Democrats, who were evenly split over the Arizona law, nearly two-thirds supported the law’s provision requiring people to produce documents verifying legal status and 55 percent supported detaining those who couldn’t. Would these same people support a new, national ID card for American workers? Last April, Senate Democrats introduced an immigration reform proposal that included a provision requiring all legal U-S workers to have an employment verification ID card within five years, complete with name, photograph, birth date, Social Security number and embedded biometric data that can be connected only to the worker (like fingerprints or a retina scan). It would be phased in, beginning with industries that typically rely on illegal-immigrant labor, and issued to workers only when they next changed jobs. That would certainly make a cop’s job easier when asking for proof of citizenship, but that’s not even the intent. The intent is solely to prevent employers from hiring illegal immigrants. We often say, if we didn’t hire them, illegals wouldn’t come here. But we do hire them. The card proposes making that process more difficult by making it easier to verify authorized workers. For some, of course, having a genetic marker like a retina scan on any form of ID card starts to get Brave New World creepy. The ACLU argues that it’s an infringement on individual privacy rights; conservatives worry about more big government. Neither of these arguments really makes sense. Actually, the concept could reduce the cost of government by shifting the focus from individuals to employers, who would be required to electronically check and verify an applicant’s eligibility via the ID card, which would be issued by the Social Security Administration. No police raid would be necessary at a plant that can’t hire illegal immigrants. Please! We’re the nation on Facebook, YouTube, Google and Shmoogle. We use Mapquest and GPS, and track packages delivered by UPS. We’ve done anything and everything to get on television, including a show called “Big Brother.” Post a comment to any website and rest assured, paranoid reader: “They” can probably find you. We don’t want privacy; we want attention. Just look at all the identification in your wallet: A driver’s license, credit cards, insurance cards, a Social Security card – more than enough plastic for the government to find you if they wanted to, yet, none of these cards has led down a slippery slope toward some sort of electronic police state. Indeed, there’s practical sense in having those metrics combined into a single ID card, but the legislative measure didn’t even proposeg that; it’s just proposing a form of employment enforcement. If there’s one place where you’re supposed to prove you are who you say you are, it’s when you apply for a job. And after you’ve exaggerated your accomplishments on your résumé, you still have to present your Social Security card. So why not refer to this biometrically digitized upgrade as Social Security Card 2.0? Is that any more intrusive than background checks, credit reports and drug tests? No one is saying this card would be a magic bullet. It won’t completely eliminate the cash economy, and the sheer scale of implementing the program would be challenging. But building walls, hiring more border guards and arresting those here illegally only focuses on keeping people out. It doesn’t address the root of the problem: why they come in. In the past year, the number of illegal immigrants has dropped from 12 million to 10.8 million, according to the Department of Homeland Security. Remittances –the amount of money sent home by Mexicans working abroad– dropped 12 percent in the first quarter of 2010 compared with a year ago, according to the Bank of Mexico. Why? The recession made it tougher to find jobs in the United States. A technologically enhanced ID card would make it tougher still. We’re talking about a fundamental form of identification intended for a fundamental purpose in society – getting a job. Ensuring the accuracy of such identification is a good thing, not a bad thing. If the majority of Americans truly are comfortable with being required to show proof of citizenship to an inquiring cop, why would we be any less comfortable with the idea of a modernized, digitized, tamper-proof Social Security card if it cuts down on the hiring of illegal immigrants?